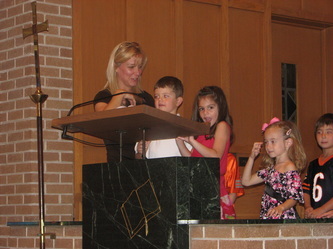 At Faith Church we celebrate a milestone with kindergartners and their parents called Welcome to Worship. On a Sunday afternoon the kids and their parents come back to church to learn more about the worship service. Developmentally this is a time when children can physically sit through more of the service and begin to participate. It is also a time when they notice many details of the worship space. 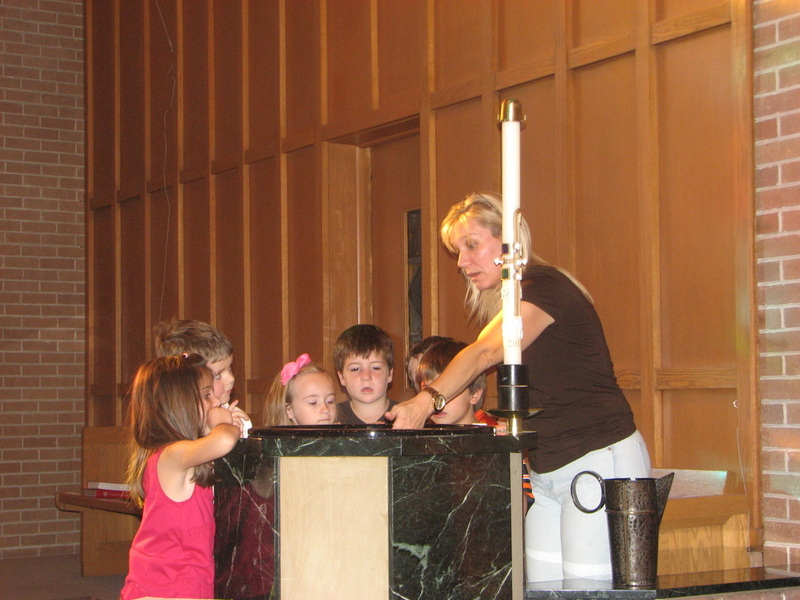 During our time together the children (and parents) are encouraged to explore the worship space, touch the sacred objects and ask many questions. 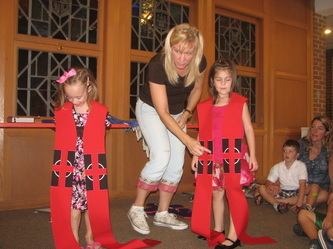 As you can see from the pictures, the children get to touch and see the beauty of the paraments and the pastor's stole. Standing at the pulpit and speaking into the microphone is a hit for every child! At the baptismal font we splash in the water and smell the oil used for the anointing. 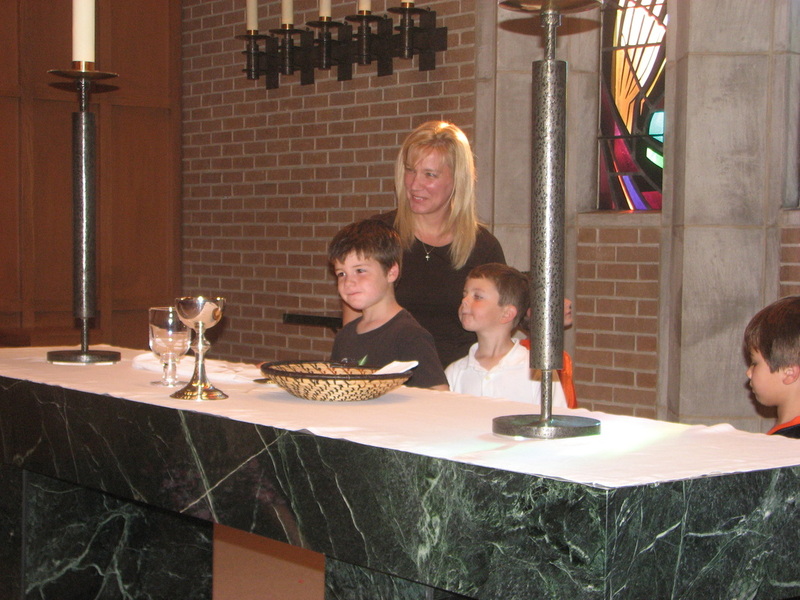 When the children stand at the altar look out where the congregation sits, they are amazed at how big our church is. They may even imagine being the pastor themselves! Word of God. Word of life. Thanks be to God. ~ After all...the liturgy is the work of the people. ALL the people! Each family is given a story book. It is the story of a church cat written by a Lutheran church musician. The cat gives a young boy and girl a tour of the sanctuary and church. Hopefully as they read Boots, the Church Cat, the conversation will continue at home. And next Sunday when they come to church!